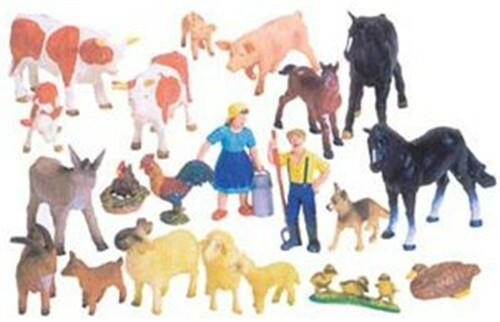 The Farm is used as a language resource in the Montessori classroom. It provides a setting for activities of language enrichment, grammar and reading. 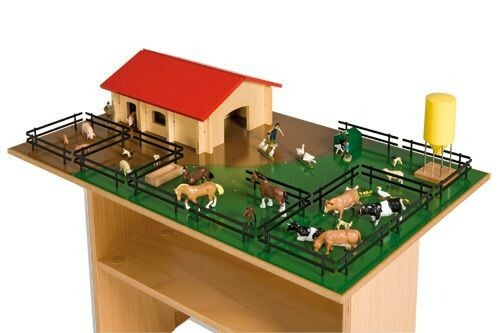 Included is: a farmhouse, people, animals, fences and a working base.